Crelate improves recruiter productivity by integrating with Office Online applications giving customers the ability to manage resumes, offer letters, and many other compatible documents directly from a Crelate account. KIRKLAND, Wash., Oct. 29, 2018 / – Crelate, the leading recruiting solution for talent-focused professionals to grow better relationships, announces a new release of its Microsoft Office Online integration, which provides users with the ability to create new and modify existing documents without leaving the Crelate browser. The ability to view any office document is available to all Crelate customers and editing capabilities can be immediately unlocked by linking your Crelate account with an Office 365 subscription. Customers can access the new capabilities by entering Office 365 credentials in Crelate settings. Excel, PowerPoint, Word, and Visio documents can be viewed and edited in Crelate account records. 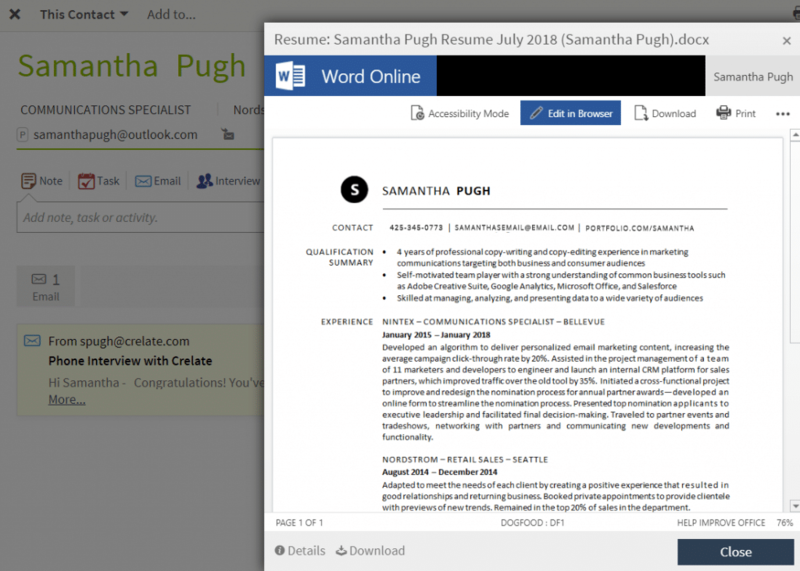 Recruiters can edit resumes directly in their web browser without the need to download an attachment, edit and re-upload. This integration expands Crelate’s native email integration with Exchange and Office 365. 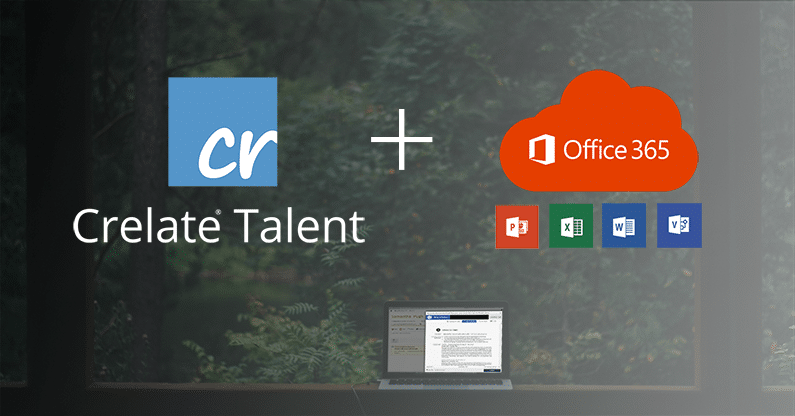 As a result, Crelate is an official Microsoft Cloud Storage Partner, strengthening its ability to integrate a recruiting solution with the Office Online suite of applications. Over 850 customers trust Crelate as their cloud-based system of record, and by partnering with Microsoft, it enables customers to access their Crelate data from within Microsoft Office Online and vice versa. Crelate’s integration with Microsoft Office Online is supported through the Office Cloud Storage Partner Program. Qualified service providers like Crelate can work with Micorosft Office developers to integrate the Office experience with a cloud storage service. Participants are required to provide documentation for their joint solution and Microsoft offers members technical support from development to go-live. Crelate was founded to help talent-focused businesses grow and manage better relationships with an increasingly dynamic global workforce. Over 850 organizations trust Crelate to empower their recruitment experiences. Crelate is a fast, flexible and powerful recruiting software, building enterprise-quality capabilities that are easy and flexible enough for businesses of all sizes.